When it comes to the best ways to naturally control or treat diabetes… all of the diabetes drugs in the world can’t take the place of an effective diet. Food truly can be medicine. The foods that you eat and your diet… are the keys to helping your body heal and getting things back on track. I don’t talk much about low carb diets or fad low calorie diets. The main reason is because these don’t work long-term for most people. Can they work? Sure. But long-term we are aiming for a way of life. The important thing to remember is that all of us are different. You need a customized solution in order for things to work for you. No two people are alike. I was just reading an article in the Mayo clinic, that basically said that each of us has our own blood sugar control blueprint located right in our gut. I’ve been saying for years that we must have a tailor-made solution in order to have long-term success with conquering diabetes. Well, what I’m about to give you right now is a road map so you can do just that starting here right now… to effectively control your blood sugar. For the next week, track your meals and breakfast to find out what your blood sugar readings are before and 2 hours after the meal. So if you don’t have a good blood sugar meter, I suggest you get one. Week 1 – the goal here is to look at your 2-hours post-meal blood sugar levels and get them to stay < 140 mg/dl. Also, write down if you exercise and put this information in a journal. We will need to come back to it next week to get an idea of which foods and meals need tweaking. Week 2 – is when you’ll need to go in and adjust the carbohydrate portion of your meals. Start by reducing by half. Then see what happens to your readings. Week 3 – repeat week 2 by reducing the carbohydrate portion by half or if your readings from week 2 were OK, just add the same exact portion size of carbohydrates to your meals (that you had from week 2). NOTE: Research tells you that when your blood sugar levels are consistently above the 140 mg/dl threshold, the complications of diabetes start to take effect. So we’ll want to tweak and make sure we’re below this number. If carbohydrates are giving you problems, you’ll need to switch them with carbs that don’t. For example, swap out eggplant instead of mash potatoes. Or you can reduce the portion of mashed potatoes in order to get below 140 mg/dl. Moving forward, while you’re gathering intel – you should start to notice patterns. Jot everything down in a journal. Add different foods to the mix to get an idea of what is happening. Remember to focus on carbohydrates since they raise your blood sugar more than any other food. Focus on keeping your blood sugar numbers at or around goal. This will serve you well in this process. No two people are alike… The ADA says that you shouldn’t have more than 40 mg/dl of carbs. I say a 250 pound person can probably handle more carbs than a 130 pound person. So this is why you need to test to know what works for you. It also depends on how far diabetes has progressed, as well as what medications you’re taking. The most important piece to this whole puzzle is testing your blood sugar to get an idea of what you can and cannot handle. Pasta doesn’t always raise your blood sugar 1-2 hours after you eat it. But if you test 4-5 hours later you might be surprised to see that pasta can pack quite a wallop on your blood sugar. So watch for these with the many varieties of pastas that are out there. Some of these sugar free ingredients actually do raise your blood sugar, while some don’t. To be sure, check your blood sugar after eating. Your best bet is to avoid anything that says sugar free. Instead of sugar free opt for Stevia or Monk Fruit – two natural sweeteners that won’t raise your blood sugar. 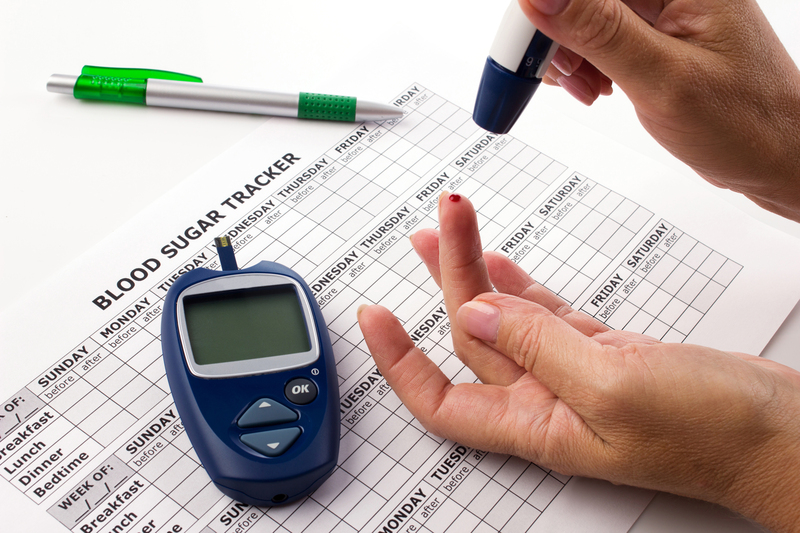 Controlling or treating type 2 diabetes naturally is a reality. All it takes is a little bit of diligence on your part. If you can consistently track what you eat and make the necessary adjustments, you can definitely improve your blood sugar control. Give this 3-week plan a try and let me know how you goes for you. I’m sure you will have great results. Prior to using this information please consult with your physician.